You can find the manufacturers number on your old fuel pump. Please check the number matches before ordering. If you have any questions or need any assistance we are happy to help - just call! We will arrange a collection with our courier service, please ring 01254 388850. 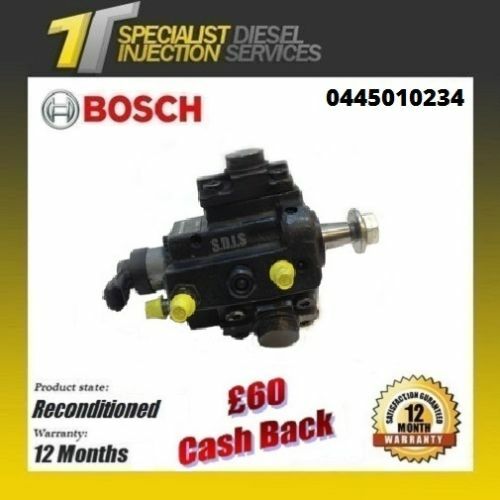 Old diesel fuel pumps can be packaged in the box that your new diesel pump arrived in and you will only receive a full surcharge refund if we receive the old unit in serviceable condition. 1. All fuel pumps must be returned to us within 30 days of invoice / receipt date. 2. All fuel pumps returned must be like for like and in a serviceable condition (i.e unit must be complete with all parts attached and no physical damage to the housing). 3. The fuel pump must be drained of diesel and placed in a plastic bag. We will provide a pre-paid addressed jiffy/envelope with your new unit that is valid for 30 days. If you cannot return your old unit within this period, you are responsible for postage payment and you will only receive a full surcharge refund if we receive the old unit in serviceable condition. Failure to comply may result in the unit being rejected or only part of the surcharge being refunded. All surcharge refunds will be put into the account they were purchased from. Please note for overseas customers you are responsible for sending your old units back to us with proof of postage which will be refunded to you. Be sure to add us to your favourite sellers list! Please note that orders purchased after 5pm will be processed the next working day.